applause." â€”KIRKUS REVIEWSGrab a seat as Marcia Williams wields her popular comic-book style to bring AS YOU LIKE IT, KING LEAR, MUCH ADO ABOUT NOTHING, ANTONY AND CLEOPATRA, TWELFTH NIGHT, THE MERCHANT OF VENICE, and RICHARD III vividly to life while evoking the mood, mischief, and manners of sixteenth- and seventeenth-century Elizabethan theater. 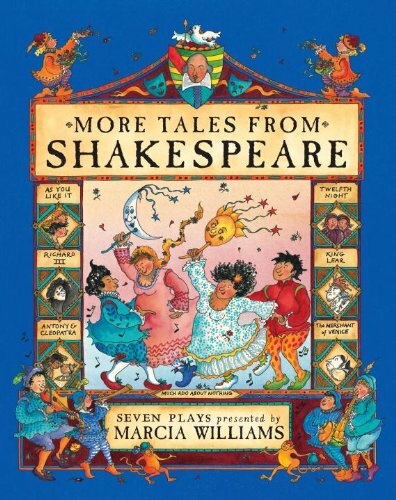 As in her previous volume TALES FROM SHAKESPEARE, Williams blends her own storytelling skill with Shakespeare's rich dialogue to make these masterpieces accessible to even the most reluctant reader. Bravo!